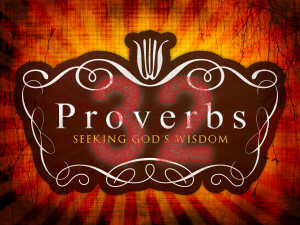 We know that there is no Proverbs 32 in the Bible (go ahead, double check if you must). Imagine, however, that proverbs in addition to king Solomon—like those of Agur (Prov. 30) or king Lemuel (which he received from his mother, Prov. 31)—were added from today’s sages? Well, following Hebrew proverbial writing styles as best they could, our three groups of teenage sages collaborated their minds to write down truths relevant to the young of today. while a person who can’t control their tongue is like one who wears socks with sandals. Using a Hebrew antithetical writing style to illustrate the need for a “controlled tongue” our authors wanted to contrast those who were successful (with perfect A’s) to the foolish who lacks discernment, like a person who thinks nothing of wearing socks with his sandals! Those who know anything about clothing etiquette would never dare to sin in this manner and so are those who are aware of the tongue’s use. rather than the man who grows in the side of the world. Mixing some modern English idioms into the Hebrew proverb genre is the truth regarding spiritual maturity. Obviously, the focus on maturity stems from either growing in “the sight of the Lord” versus growing in the “side of the world.” The wise happily grows before the audience of One: God Himself. Conversely, the foolish are locked in step (in fellowship) with the world, but not before God. He who loves the Lord obeys His word. He does not rebel against His commandments. Sometimes, Hebrew proverbs are meant to “punch you in the gut” before you have time to justify your way out of its stated truth. Quick and to the point is this last proverb. There is nothing to really ponder about the proverb, you simply accept it or despise its truth and thus rebel against the Lord. This proverb, written in the comparative style, aptly illustrates our need to love God and keep the commandments of the One we love. To the parents of our young—train your children in the wisdom of the Lord and tomorrow we may very well be reading and reaping from their wisdom which seeks to glorify our God and stand in His eternal truths!